FDA and CMS have been working together on many initiatives related to the review and use of FDA-regulated drugs, medical devices, and biologics. During this webinar, panelists will provide a background and overview of the links between FDA regulatory approval and the Medicare Part A and Part B coverage process. The endpoints that both agencies consider in their decision-making process and the ways in which the two agencies coordinate their efforts will also be addressed. ROCHELLE CHODOCK FINK, MD, JD is a Senior Health Science Specialist at FDA. In that capacity, she works on joint CMS-FDA efforts to accelerate the regulatory and coverage decision making process. This responsibility includes spending a portion of each week working in CMS’s Coverage and Analysis Group (CAG) and the remainder of the week working at FDA’s Center for Devices and Radiological Health (CDRH). Dr. Fink is involved in the FDA-CMS Parallel Review Program and CDRH’s Pre-Submission Program. As a registered patent attorney, Dr. Fink works on CDRH’s technology transfer and patent matters. Additionally, she establishes collaborations with CDRH and has been involved in the FDA-Medical Device Innovation Consortium (MDIC) effort. Prior to joining CDRH, Dr. Fink worked in CDER’s Office of Regulatory Policy where her primary responsibilities included responding to citizen petitions. Dr. Fink received her undergraduate and medical degrees from Brown University and her law degree from the University of Pennsylvania Law School. 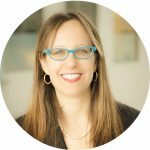 She has worked as an associate at Paul, Weiss, Rifkind, Wharton & Garrison, LLP and Sidley Austin, LLP. LINDA GOUSIS, JD is a technical advisor at the Centers for Medicare & Medicaid Services in the Coverage and Analysis Group (CAG), Division of Policy Coordination and Implementation. CAG develops, interprets, communicates, and updates evidence based national coverage policies. These policies help provide timely access to services and technologies that improve health outcomes for Medicare beneficiaries. Linda plays an integral role in the coordination and development of Medicare national coverage policies on a wide range of topics. Linda has also worked in the Part C and Part D programs at CMS since joining the agency in 2005. She earned her JD from the University of Maryland School of Law and BS in Biology & Society from Arizona State University. DAVE ZOOK is an advisor to private and public sector clients on federal legislative, regulatory, and program matters. His practice focuses on public policy and regulatory initiatives in the health, higher education and research arenas. 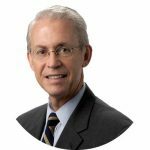 Dave leads the firm’s health and FDA group and serves as head of the Washington, D.C. office. Dave has a nearly three-decade record of achieving results with Congress and the Executive Branch on complex federal issues. Recent accomplishments include health and science policy legislation, patient-focused drug development projects, and an array of competitive funding outcomes. Several projects involved building nationwide coalitions such as the Collaborative for Effective Prescription Opioid Policies. Dave’s background includes serving as associate counsel to the U.S. House Appropriations Committee where he focused on energy research and nuclear defense matters across the National Labs. Dave also worked in legislative and communications positions for two members of Congress. Later, he served as a senior executive of a national health organization to establish its policy and medical affairs division.